Heard a lot about Usenet and its file sharing capabilities, but don’t have a clue where to get starting using it? 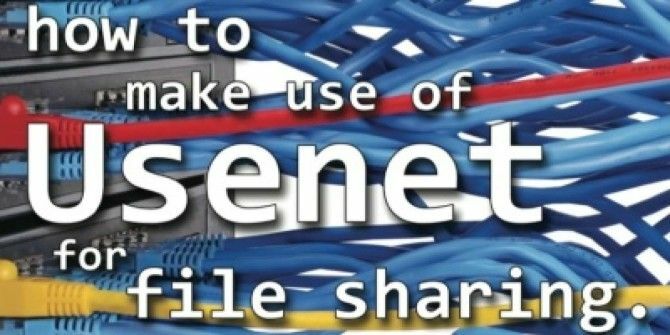 This user’s guide explains how to use Usenet. It’s the latest free download from MakeUseOf! This guide is available to download as a free PDF. Download A New User’s Guide To Usenet now. Feel free to copy and share this with your friends and family. Usenet is one of the earliest forms of the modern Internet, but Usenet is still alive and kicking. Why is it still around when it is so old, you ask? Because even after 30 years, Usenet is still arguably the best platform for file sharing out there (and quite possibly the largest, too). §3–What Can I Do With Usenet? §4–What Do I Need To Get Started? Networks were very different back in the 1980’s. The Internet, as we know it, was not open or widespread, dial-up was king and hard drive capacity was measured in megabytes, not gigabytes. Networking was very much around, though. Computers all over the world could still be linked up, and there were ways of communicating. One way was Usenet. While usability was very primitive by today’s standards, it still allowed users to share text and images as well as other small files. Jumping forward 30 years, the World Wide Web is king. Facebook, Google and YouTube are the three most visited websites in the world, providing functionality that Usenet could never achieve. Usenet is still alive and kicking, though. Although the reason for its existence has changed, it is still a thriving community. Why is it still around when it is so outdated, you ask? Because even after 30 years, Usenet is still arguably the best platform for file sharing out there (and quite possibly the largest, too). Usenet is a network system which was largely superseded by the World Wide Web in the late 80’s and early 90’s as a form of communication. However, Usenet is far from dead. While its userbase is tiny compared to the giant which is “The Internet”, it is still growing every day as more users join and add more content. Usenet is a very different beast to the World Wide Web. In its base form, the WWW is a multitude of separate spaces containing the files for a website. When you type in a URL, it directs the web browser to the space and asks for a specific file, which is then loaded by your web browser. Webpages are “connected” to each other via hyperlinks, allowing you to jump from one page to the next. Usenet content, on the other hand, is all mixed together in one giant space. There are no hyperlinks, only indexes of all the files that are kept there. Trying to find files in that space the same way that you browse the World Wide Web (by typing in a URL) would be an absolute nightmare, so Usenet data is accessed almost exclusively through a separate program called a Usenet client. Usenet differs from the WWW in that there are a number of Usenet server farms which, instead of containing different data, all communicate with each other to make sure that all data is available on each server farm. This means that most of the data can be accessed by anyone, regardless of which Usenet service provider they connect to or where they are in the world. Being a system developed 30 years ago, Usenet has some big limitations. Usenet only supports plain text posts, and each post (or article) has a maximum size which cannot be exceeded. That’s right, Usenet wasn’t designed for sharing files. So how does it actually work? Say you want to share one big file, such as a free documentary like “StealThisFilm”. The file is compressed using a program called WinRAR and split into many parts. Then a checksum file is created, which allows someone to ensure that all the data has been transferred correctly, as well as parity files if some of it has gone missing along the way. is possible to translate binary data (which is 8-bit) into 7-bit ASCII (plain text). There’s a little bit of overhead involved (and it takes a LOT of posts to put all the plain text data up), but it is doable. All that’s left to do is to reverse the process on the other end to have a fully functional file. It would be a nightmare for a human to do by themselves, but this s the sort of thing that computers excel at! All the computer needs is an NZB file, which contains a list of the posts which the computer needs to download to reconstruct the requested file. 2.3 Why Should I Use Usenet? What’s Wrong With Torrents? Don’t get me wrong; torrents are great for sharing files too we’ve written a guide on using torrents as well. The thing is, they’re suited more for big files that are very popular (think Linux disk images, for example). They fall flat when the file isn’t popular; if nobody is choosing to share the file while you’re connected, then you can’t download it. There are also privacy concerns – if you’re downloading files which could potentially get you into trouble, you don’t know who else is in the torrent’s swarm noting your IP address for use as incriminating evidence. “Imagine you distribute PDFs of political pamphlets. Usenet is a superior method for sending and receiving them than Bit-torrent or file-lockers. Your ISP and the government can’t do deep packet inspection on your Internet connection to see what you are doing. Usenet providers use SSL encryption but you’d need to pay for a VPN service to be protected if you use torrents or File-lockers. Other users in your swarm, such as the Chinese government, can snoop on your use of torrents to distribute ‘Free Tibet’ PDFs: no-one can do that on Usenet; also Usenet providers keep no logs of your use. 3. What Can I Do With Usenet? Usenet has two main uses; text-based newsgroups and sharing binary files. These two activities are quite different but stem from Usenet’s original functionality. We will be focusing on sharing binaries, but the newsgroups found on Usenet are also an important part of what makes Usenet… well, Usenet! Both are split into different sections/categories and subsections/subcategories. Conversations are contained within threads, which grow in size as users reply to previous posts or otherwise contribute. 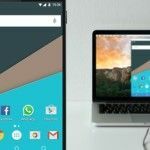 While the functionality between the two are very similar, the way that each one works (that is, the backend that users can’t see) is very different. That’s a little outside the scope of this guide, but essentially it boils down to scale. Forums are contained on a single web server and belong to a single website, requiring registration to contribute. Newsgroups are not constrained to any one server and do not require registration to post. When a post is first made to a thread it may only be viewed by those connected to that server, but within hours the post (along with all the other posts made in that time) will be synchronized with every other Usenet server so that anybody may see it and reply. While these hierarchies are open and free for anyone to participate, the naming of categories and sub-categories is sometimes moderated to maintain order. There are a number of other, smaller hierarchies such as those specific to a particular country or company. These may be moderated, but many are not. There is one other main hierarchy, designed with fewer rules and more freedom that is not considered one of the “big” hierarchies (although in terms of actual size it far exceeds the others). alt. * is the one main hierarchy which allows transfers of large binary files and arguably the main reason for Usenet’s continued relevance in a world where the World Wide Web provides so much more functionality. Binary files are essentially any files which are not plain text. This encompasses images, audio and video files, disk images, documents produced by image editors and office suites as well as applications and their related files. The vast majority of binary files are found in the newsgroup alt.binary. *, organised into subcategories such as tv, mp3 and games. Unfortunately, Usenet access is not free. Unlike most popular file sharing methods, Usenet is not peer-to-peer (p2p), where files are sent directly between users. Files on the Usenet network are stored on servers run by a newsgroup service provider (NSP). NSPs have to store petabytes (that’s millions of gigabytes) of data all at once on lots of servers and make all of it available to everyone at any time. So to gain access to the files, you must first have a subscription with one of these providers. This subscription price helps to cover the storage and bandwidth costs for the provider. Access to Usenet requires 3 main components: a subscription to a Usenet provider, which allows access to the files stored on their servers, an index or Usenet search engine to find the files you’re looking for, and a newsreader to download those files. There are many alternatives for each of these, but I’ll be focusing on what I consider to be the best for each. As mentioned above, Usenet providers run servers which contain different newsgroups (which in turn host threads containing the files we want to download). We need to have a subscription to a Usenet provider to gain access to these files. There are lots of different Usenet providers to choose from, so it might seem a little confusing to try and distinguish between them. First up, choosing a particular provider doesn’t limit which files you’re able to download. While you are only able to access files on your provider’s servers, all the different providers constantly share their files with each other. This means that the files you’re looking for will invariably end up on your provider’s servers, regardless of the server they are uploaded to. Second, some providers will try to distinguish themselves by allowing more simultaneous connections to their servers. Don’t worry about this number! Most people will be able to completely max out their Internet connection with no more than 5 or 6 connections. Some users with a really fast fibre connection may benefit from 10-15 connections, but certainly no more than that. In fact, there are really only two main numbers that you really need to look out for retention and completion. Retention is the length of time that the NSP guarantees to keep the file on their servers for you to access. It’s usually measured in days, with most of the top providers promising over 1,200 days (that’s over 3 years!). Some try to differentiate by promising an extra day or two, but in the grand scheme of things an extra 24 hours here or there really doesn’t make a big difference. Completion is the percentage of posts which are successfully sent from one NSP to the other. This is a really important number, as even one missing post has the potential to render a binary completely unreadable (although this is slightly mitigated by the use of parity files). Thankfully, the major providers all guarantee >99% completion rates, so it’s very rarely an issue for new files. Finally, while many NSPs provide unlimited downloads, not all of them do. If you’re not planning on downloading much at all you can find metered subscriptions (that is, ones with a download quota) for a fair bit cheaper than unlimited ones. Either way, make sure you check the details of the subscription before you sign up to ensure that they work for you. Astraweb is one of the most popular NSPs. It’s well priced ($11/month as of this writing if you sign up for their special offer) and offers unlimited downloads as fast as your Internet connection can handle, via up to 20 connections. After a fair bit of research this does look like the most popular choice, so it’s the one I’d probably recommend first. The only downside is that apparently Astraweb’s download speeds can become a little unstable once you get up to a 60-70 megabit connection, but for the vast majority of users this isn’t a problem at all. While Easynews hasn’t been around for quite as long as Astraweb, it does bring some extra features to the table, such as its web-based client for viewing Usenet content without a separate piece of software. However, access to this feature does cost a fair bit more, and downloads from the browser are not unlimited – $30/month gets you 150GB from the web client (though you still get unlimited downloads through a standard client). If the web client doesn’t do anything for you there’s also unlimited standard access for $10/month, making it slightly cheaper than Astraweb. This is a limited special offer though, with no indication of how long the offer will last. Strangely enough, the first place you would go to connect to Usenet up until a few years ago was your Internet Service Provider, which would often provide Usenet access as part of their standard package. Using your ISP as an NSP does have some upsides; those ISPs that still provide Usenet access often include it with your Internet access contract at no extra cost, and usually downloads from your ISP’s Usenet servers don’t count towards your monthly quota for Internet usage. However, there are also many reasons to avoid using your ISP for Usenet access. Since it’s not their main service, ISPs don’t need to compete for high retention and completion rates so these are usually much worse than those you’ll find from a dedicated NSP. They also usually have a very small Usenet quota, so although it doesn’t count against your Internet usage you won’t get very far before you run out of what you can download with Usenet. Probably the largest reason to avoid using your ISP is their content filtering. In an attempt to reduce piracy, many ISPs simply block access to the alt.binary. * newsgroups altogether, which means that you’d lose access to completely legal content, too. Having said that, if your ISP already has Usenet services (or you’re thinking of changing ISPs), it can be a good way to introduce yourself to Usenet without committing to another subscription. You can see a list of ISPs providing Usenet services over at usenettools.net (http://www.usenettools.net/ISP.htm). While it is possible to find what you’re looking for by browsing your NSP’s servers manually (by downloading headers which contain an index of each newsgroup), it’s much easier to simply use a search engine to find what you’re looking for. A Usenet index already has the latest versions of each header, so it knows which files are available on Usenet for you to download. All you need to do is search for what you’re looking for, select the relevant posts, download the .nzb file the index site presents and open it in a Usenet client (it’s not so different to using a .torrent file in this respect!). Newzbin was one of the first Usenet index sites to hit the scene, and is the site responsible for the design and widespread use of .nzb files. It’s great to find what you’re looking for quickly, and has bookmarks which can be accessed by Usenet clients (such as SABnzbd) to provide one-click downloading. Unfortunately, access to Newzbin isn’t open you’ll need to register an account to search the Newzbin index and you’ll need to pay a (relatively small, but nonetheless present) subscription fee to access the NZB files used to download files via Usenet. If you don’t mind paying a little bit more for a more seamless service, this is the way to go. There are free alternatives which work just as well if you’re willing to put a bit of extra work in to it, though. BinSearch is one such alternative. It scans all the major Usenet servers for new content just like Newzbin, so search results are almost identical. The big difference is that BinSearch is open and free, and doesn’t require any registration whatsoever. Finally, you’ll need to use a program called a Usenet client to access Usenet content. There are three different kinds of Usenet clients, and choosing the best one for you depends on what you intend to use Usenet for. The first kind of Usenet client is the newsreader. It’s made almost exclusively for accessing text-only discussions in Usenet’s newsgroups. As such, it’s very clumsy when it comes to downloading binary files (particularly large ones comprising of many different parts). This guide focuses on the file sharing aspect of Usenet, so a newsreader isn’t much good to us. The second kind of client is the NZB downloader. As the name suggests, clients like these are built to manage downloading posts pointed to by NZB files, but aren’t really designed to view and contribute to text discussions. As NZB files are so popular these days, these clients are becoming the most common and prominent. The final kind of client is the hybrid client, which provides the functionality of both the newsreader and the NZB downloader. These programs are rarely free and are usually much larger than either kind. Furthermore, they are rarely cross-platform, meaning you must purchase the software for a specific operating system; this limits their usefulness. For most people reading this guide, the NZB downloader is the best choice (indeed, this is the case for most users in general unless they specifically want to access text discussions in the newsgroups). SABnzbd is one of the most popular Usenet clients, and for good reason; it’s open source (making it completely free), and it does what it’s designed to do really, really well. SABnzbd falls safely within the NZB downloader category. It has no support for text posts, nor can it be used for browsing Usenet content (this is where the index comes in). You simply supply it with a .nzb file which contains a list of all the files that need to be downloaded. SABnzbd is different to other clients in that, although it is a separate application which runs on your computer, it uses your web browser to provide the graphical user interface (that is, it uses a “Web-UI”). This is one of the major reasons that allows SABnzbd to be cross-platform without much trouble. Downloading files is typically a simple process, but one which can vary depending on the software and websites used. This guide will assume that you’ve chosen Astraweb as your Usenet provider, SABnzbd as your newsreader and binsearch.info as your search engine. The first step is to install SABnzbd. Just go to the SABnzbd download page (http://sabnzbd.org/download/) and choose the right version for your operating system. If you’re using Windows, you’ll want the Windows Installer. If you’re using a Mac, you’ll probably want the Mac OS X Universal Binary (unless you’re still running Leopard or earlier, in which case there’s a download link just below the universal binary). This will get all the files that SABnzbd needs to be completely functional and install it, all in one go. Installing SABnzbd on Windows and OS X is easy, as it’s just like installing any other application for that operating system. Once you have SABnzbd installed, you’ll need to run it. In Windows and OS X it’ll be with the rest of your applications, but again in Linux you’ll need to start it using the Terminal (by entering the command sabnzbdplus). Regardless of which operating system you’re using, SABnzbd will then start up your default browser (or create a new tab if it’s already running) and start the SABnzbd Quick-Start Wizard. The wizard is fairly straightforward and easy to follow, but we’ll quickly run through each step here. The first screen you’ll see asks you to choose the language you want SABnzbd to run in. Select your language of choice and click “Start Window”. Step one of the wizard asks you to select the theme you want to use. Unless you really don’t like the look of it I’d suggest you use the “Plush” theme. Once you’ve selected the skin, click “Next”. Step two sorts out all the settings for accessing SABnzbd, and whether you want to be able to access SABnzbd from other computers on your network. For our purposes this isn’t necessary, so the second option “I want SABnzbd to be viewable from my PC only” is the one we’ll choose. Seeing as it’s only viewable from the host PC, password protection isn’t really necessary (although feel free to add it if you really want to). It’s also not necessary to enable HTTPS if you’re only accessing it from the host PC. You can also tell SABnzbd to open a page in your Internet browser whenever it starts. Whether you enable this or not depends on if you want to have SABnzbd start automatically or not (see advanced tricks). Click on “Next” when you’ve made your choices. Step three is where you enter in all your server details. This is where you would put, for example, Astraweb’s server details which you got when you signed up for a subscription as well as your Astraweb username and password. Astraweb provides SSL and up to 20 connections, so enable SSL, enter 563 in the “Port” field and enter 20 into the “Connections” field. It’s probably a good idea to test the settings to make sure they work before clicking “Next” again. Step four allows you to enter your username and password for newzbin.com and nzbmatrix.com if you use them. We’ll be using binsearch.info, so we’ll leave these fields empty and just click on “Next” again. You might want to check them out, though, because they have some interesting features which allow integration into SABnzbd. SABnzbd then applies all the settings and restarts itself before refreshing the webpage. When it refreshes it will give you the address you can use to access SABnzbd from your browser (which will typically be something like localhost: 8080). Just click on this link (and bookmark it so that you can find it later) to be taken to the SABnzbd disk interface. You’re ready to go! Now it’s time to find some files to download on BinSearch. 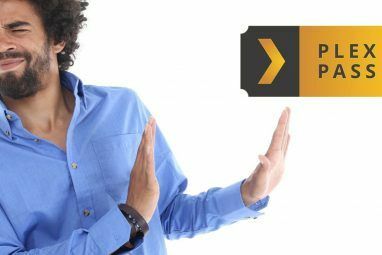 Go to www.binsearch.info, and search for what you want, such as “Steal This Film” (a great, free documentary about piracy focused around The Pirate Bay). The search results can return a couple of duplicates (as the same files will often be posted multiple times to ensure proper completion and retention). A good post to download will show the file size of the completed files, all parts available and the number of rar and par2 files (sfv files and nfo files may also be present, but these aren’t as essential). When you’ve found the one you want to download, tick the checkbox next to it, then click on “Create NZB” at the top of the page. This will prompt you to download the NZB file to your computer. Now that we have an NZB file, we just need to add it to SABnzbd to tell it what to download. Go to your bookmarked SABnzbd page (if you haven’t already), and click on “Add NZB” in the top right hand corner of the screen. Now, click on “Choose File” and select the NZB file you just downloaded (you may need to browse to it), and click “Upload”. That’s all there is to it. SABnzbd will go away and download the rar files, un-rar them and place the finished files in the downloads folder (which by default is the Downloads folder in the home directory of the user running SABnzbd). Congratulations! You have just downloaded your first file from Usenet. The steps we walked through in the previous section will allow you to download files from Usenet, but they only utilize the basic functionality of SABnzbd. It’s a very powerful program with some interesting capabilities which can make downloading files that little bit more seamless. If you’re using a server that runs 24/7 or you want to make use of SABnzbd the whole time your computer is running, you may want to consider telling it to start up as soon as you log in. The steps to enabling this are slightly different for each operating system, so I’ll briefly outline each below. The best and easiest way to start SABnzbd along with your computer is to enable the option as you’re running the installation .exe file. Alternatively, you can copy a shortcut into the “Startup” folder under “All Programs” in your Start menu. To make SABnzbd start up with your Mac, go to System Preferences and select your Users preference pane (this will be called either “Accounts” or “Users and Groups”, depending on your version of OS X). Here, make sure that your user is selected, click on “Login Items”, then either drag “SABnzbd.app” from a Finder window into the field or click on the + button and browse to it. Making SABnzbd start automatically when Ubuntu boots is a little more complicated, and involves a little terminal magic. Basically you’re counting on the init.d directory, which contains all of the startup scripts. Thankfully, the SABnzbd script is installed when you install the main program, but it requires a few changes to the settings in another file to enable it. You’ll then be prompted to enter your system password this is necessary as you need to run the program nano as root (a “super user”) in order to edit the file. Then save and close the document by pressing Ctrl + O followed by Ctrl + X.
SABnzbd will now run as soon as you log into Ubuntu. It also allows you to start up SABnzbd by entering the command /etc/init.d/sabnzbdplus start and quit it by entering the command /etc/init.d/sabnzbdplus stop. 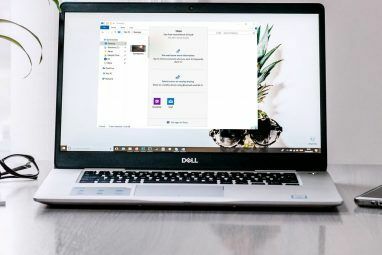 If your computer has more than one hard drive, you may want to save downloaded files to a different hard drive so that your system drive isn’t filled up (causing your system to slow down). SABnzbd makes it easy to change the default download location. In the main SABnzbd window (that is, localhost: 8080 or whichever port you’ve specified in your web browser) and click on “Config” in the top right hand corner. Next, click on “Folders” on the left hand side. Here you’ll be able to see fields for “Temporary Download Folder” and “Completed Download Folder”. You can enter the path to a specific folder in each of these fields to change its location. If the folder you specify doesn’t exist, SABnzbd will automatically create it for you. If you’re anything like me, it won’t take long for you to get fed up with having to manually upload each NZB file. Thankfully there are a few different ways you can tackle this problem so that they are automatically added for you. The first method involves creating a watched folder. This means that you designate a folder for SABnzbd to scan for NZB files. When it detects one it automatically uploads it like normal and deletes the NZB file. This way you can download the NZB files to the watched folder and not have to worry about uploading them yourself. To enable a watched folder, you’ll want to go to the same place as you go to change the default download folder (that is, Config > Folders). Then, add the path to the desired folder in the “Watched Folder” field. If you don’t want to create yet another folder on your hard drive, you can instead install a plugin for your browser of choice which can automatically detect NZBs and add them to your download queue in SABnzbd. If you use Firefox, look for an addon called “nzbdstatus”. This is able to catch any NZB downloads, add them to SABnzbd and delete them all automatically. If you prefer Chrome, an extension called “SABconnect++” is very similar and provides very similar functions. Unfortunately a limitation of Chrome extensions means that it can’t catch downloads like nzbdstatus can, so if you’re using BinSearch you’ll have to rely on the Watched Folder method. You might like to have a little more control over the files you download and do some interesting things with them. This is where categories come in. The default process that SABnzbd follows is to download all the different components, repair any missing rar files using PAR2 files, extract the contents of the archive and then delete the archive, leaving its contents in their own folder. Say there are some things that you’re downloading that you don’t want to automatically extract from the archive, or perhaps you want to extract its contents but you want to keep the archive as well. Or maybe you just want to keep tabs on different kinds of downloads and tag them accordingly. To do any of these, go to “Config > Categories”. There you can see the “Default” category: all downloads are given equal priority, archives are deleted after being extracted and no tags are given. To create a new category, just enter its details in the fields below the default category. Give it a name, a priority (higher priority categories will start downloading earlier and be given a larger percentage of available bandwidth) and decide how it should be processed. You can also assign a custom save location for each category and assign it with different tags. When you’re done, click on “Add” on the right hand side of the window to save the new category. Now when you’re adding NZB files you are able to assign the new category to it. Perhaps you want to keep your files even more organized. SABnzbd also has built-in file sorting capabilities, although these are largely focused on sorting TV shows and movies (that are copyright free and legally distributed, obviously). To enable sorting, go to “Config > Sorting”. There you can enable the different kinds of sorting for specific categories (it is possible to select multiple categories by holding down CTRL while clicking each category on Windows or Linux and CMD on a Mac). Then you can either choose one of the pre-set sort strings or click on the “Pattern Key” button to show a list of the patterns you can use to create your own custom filenames exactly how you want them. You can also enter in a custom path here so that all files end up in a specific location (which isn’t necessarily your default download folder). There are lots of other options which you can change to make SABnzbd even more useful and seamless, but they’re a little outside the scope of this article. However, you can read all about them on the SABnzbd Wiki (http://wiki.sabnzbd. org) in the links in the sidebar under the “Configuration” heading. It’s funny how things can turn out. You would never think that a 30 year old system could be kludged into providing one of the best ways to share files that still can’t be readily bested today. While it’s a little convoluted – requiring a subscription with a Newsgroup Service Provider, an entirely different kind of index to search for files and a program to access content which is completely different from the trusty old web browser – it still provides a remarkably secure, anonymous way to share files which is just about as fast as any Internet connection is able to handle. Although it won’t replace torrents any time soon and it will never stand up to the giant that is the World Wide Web, Usenet has still found its niche and fulfills its role well. Explore more about: File Sharing, Longform Guide, Usenet. This is as detailed an introduction to Usenet services as I have ever seen. Great job! Rather than Googling around which can get a little frustrating, this post has it all in one place. I noticed that you mentioned Astraweb and Easynews. Astraweb seems very popular and has been around for a long time which I consider a plus. But I haven’t subscribed to a Usenet newsgroup provider yet and am still in the researching stage checking out reviews at https://www.cogipas.com/usenet/best-usenet-providers/ and http://ngprovider.com/ as well as reading up on comments on reddit.